In order to use Cusmin, it's required to create a Cusmin account. You can register new Cusmin account HERE. Please note that you are required to have a valid Cusmin license key, in order to register a new Cusmin account. As an alternative, you can choose to log in with your existing social media account instead. 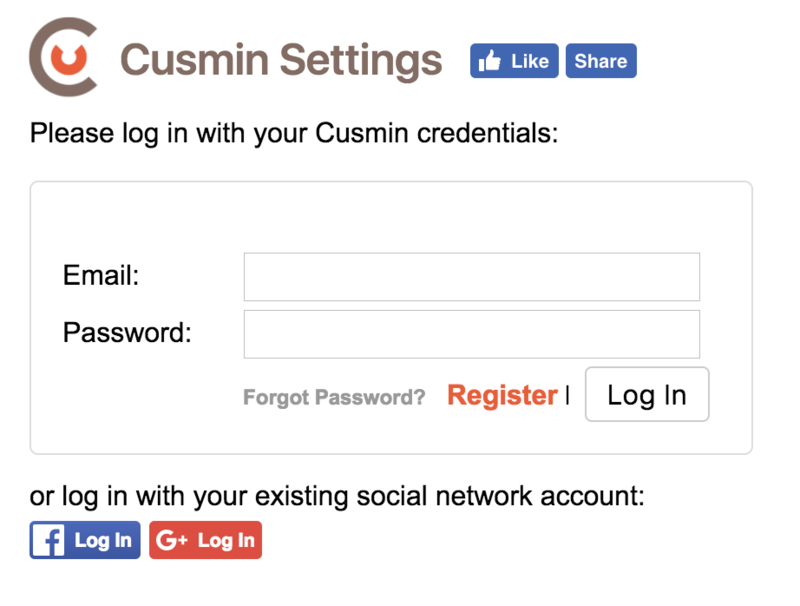 Once you are successfully logged into Cusmin, you will be able to manage Cusmin settings on your site. Your session will expire after some period of time as a security precaution. You can also choose to log out manually if you want.